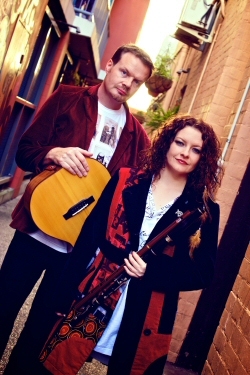 ARIA-nominated singer songwriter Sarah Calderwood and acclaimed guitarist and author Paul Brandon. Sarah writes about love, loss, not fitting in, vanilla cities, chocolate crushes, redemption, salvation, heartache, heartbreak, happiness and Anne Boleyn. Paul plays fat strummy guitar in odd tunings. Together they have toured Australia and overseas, played to audiences of 5 to 15,000, been involved in two top 10 albums and drunk more coffee than is medically advised. They have been described as passionate, enigmatic, lyrically brilliant and richly musical. Together, they are Two Crows. 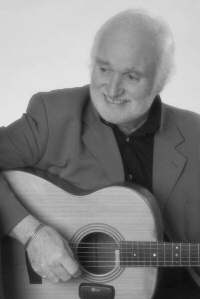 Renowned singer songwriter, Martyn Wyndham-Read returns to Australia in 2015 to tour his latest album ‘Starlit Skies.’ Martyn has been involved in folk music for over forty plus years. He has been a regular visitor to Australia since his early teens when he worked on a South Australian sheep station, ‘Emu Springs’ where he was captivated by songs he heard from station hands. His passion for Australian song and verse grew from these days and has evolved over the years to his recognition as a significant interpreter of the works of Henry Lawson in musical and lyrical form. 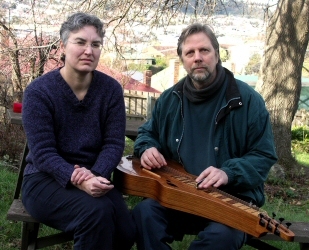 Paper Souls started as Husband and Wife Duo- Luke and Sarah Triffitt; in the Tasmanian Winter of 2010. The acoustic folk sound, accompanied by Sarah’s harmonies, was a great contrast for Luke. November 2013; delivered Denni Sulzberger on Cello (also of Thieves) to make Paper Souls a trio. March 2014 introduced Cam Locke on Bass and Cameron Jones on Drums; finally completing the Paper Souls band. 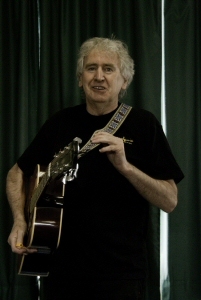 A proud Irish-Australian singer songwriter and storyteller who will make you laugh and cry. 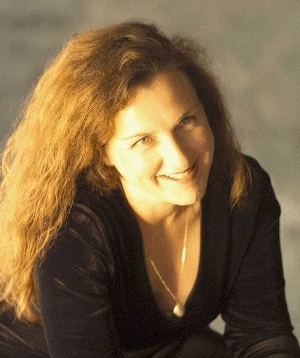 Maria will share traditional Irish songs,and her award winning songs. Maria will lead the choir this year. The Choir is open to all and we warmly invite all singers to join us. Rehearsal on Saturday. 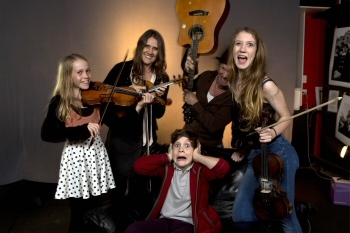 A rare festival delight, the Kelly Family band play Australian family folk music with Celtic and American influences with suprising skill and totally infectious joyous abandon. 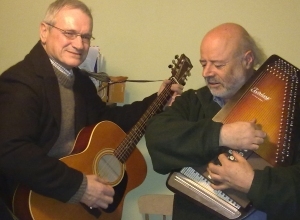 Recently returned from their busking and concert tour of Ireland, France, Italy Poland, Germany and Czech republic these guys play happy families to the limit. Nick has been a performing and touring acoustic musician for over 25 years on the Australian and international acoustic music scene. 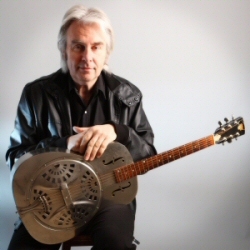 Averaging over 200 shows a year from Perth to Sydney and LA to Kansas City - including many major guitar, folk, blues and jazz festivals - the eclectic nature of Nick’s music continues to delight and captivate his audiences. Nick will also run a guitar workshop at the festival. WINNERS OF THE 2011 QUEENSLAND MUSIC AWARDS WORLD MUSIC CATEGORY. 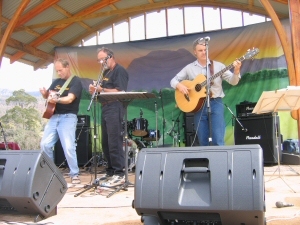 The Barleyshakes formed in Dublin in 1995 then the band moved to the Sunshine coast in Australia in 2000. The Barleyshakes music is irish at it core with tasteful interpretations modern influences. ATTENTION KIDS AND PARENTS: this is a rare treat to be a part of the Woodys World show with special guests “POPPA-KNICK-KNACKS-CLARK” and “MUMMAKATE”. Yes, with three generations of songs and stories spanning 45 years, this is a concert to captivate young audiences and their parents! With a playful sense of fun and tradition, you’ll want to start your own family band when you’ve been a part of WOODYS WORLD at Tamar. Hobart based musicians Vanessa Ransley (voice) and Susan King (lute) team up for a delightful concert of traditional English and Scottish folk songs and lute music. The songs range from medieval through to 17th century broadside ballads as well as by John Dowland, the Elizabethan court lutenist whose songs were made so popular a few years ago by Sting. 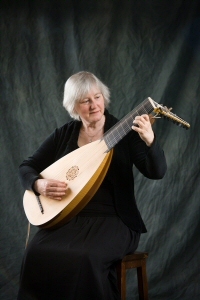 Susan will also play solo 16th century lute music from France, UK and Italy. Jacob Boote and Laura Mead both hail from Tasmania's North West Coast. They have been playing together for four years. 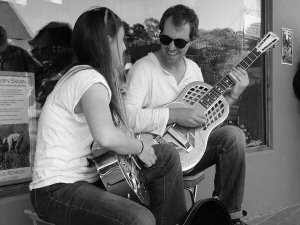 They have their own unique sound as a duo playing an assortment of resonator guitars and other stringed instruments incorporating soulful vocals and gentle harmonies. Lauraâ€™s impeccable timing and hot rhythms allow Jacob to delve into amazing melodies and incredible feeling through bottle neck slide and traditional finger style swing, jazz and blues. Vince is well known to The Tamar Valley Folk Festival as a singer songwriter and Jim Brown is a TV presenter turned bush poet. Together Vince and Jim present their moving tribute concert. Very appropriate in this Centenary year. 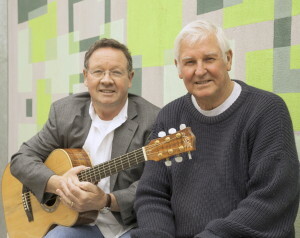 Told and sung with humour, poetry and yarns, this concert is highly acclaimed and we are honoured to have Vince and Jim here to perform their show. The Lone Pine Guitar is on loan from the Shrine of Rememerance for this Concert. Suzette Herft, the exotic spice from the ‘Pearl of the Indian Ocean’, grows up singing along to her father’s classic country record collection. She blends beautifully with Patrick Evans, the quintessential Australian songwriter who hails from the Victorian Country coastline. From their originals to their covers, they meld their different influences and love of the same music and their passion for songwriting into a deep rich wine with a special ingredient created by their blend of voices in luscious harmony. 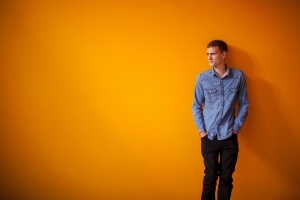 David Knight is an exciting and gifted new artist on the Australian music scene. Studying guitar in all its forms from age 11. Now 21 and sitting somewhere between roots, folk and virtuoso, David has developed a unique style and method of performing with the instrument that is bound to see him become on the the country's most respected guitarists. 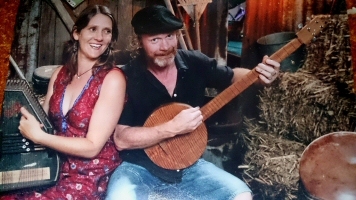 Daniel Brauchli and Kate Case are a folk duo living near Launceston. 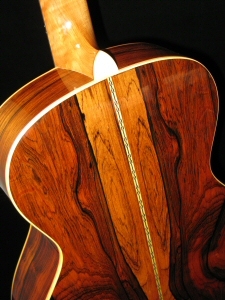 In 2000 Daniel moved to Tasmania to finish with commercial music and settle down to making guitars. I have continued performing at music festivals as it is an excellent way to connect with other musicians. Working with Tasmanian singer, Kate Case, their music is a collection of early American and Celtic music plus some originals. A singer-songwriter who's songs are narratives of where he has lived and worked and contemporary life in Australia and at large. Tony plays the auto harp. Tony will be joined by The Tullah Fellas. 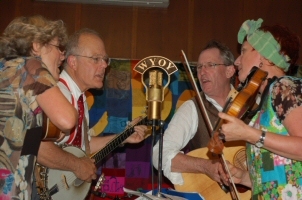 Stan Gottschalk, Rebecca Gottschalk, Steve Ray and Jane Ray specialize in the broad musical traditions (mostly pre-1945) from the rural southeastern United States – including Anglo-Celtic and Afro-American traditional music, minstrelsy, ragtime. Tin Pan Alley tunes and songs, cajun music, gospel and jug band music. The show will feature songs covering 'Protest',anti war songs, songs of industrial hardship and the like. 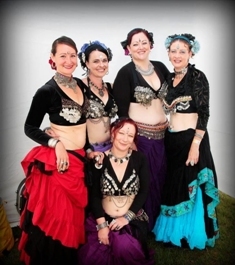 Ekstasis is an American Tribal Style (ATS) belly dance troupe based in Northern Tasmania, with many years of performance experience. Their shows have a colourful, earthy, gypsy feel and range from upbeat and folky to a more intense, dramatic style, featuring impressive use of props such as fire and swords. This group have received excellent feedback over the years, and have been described as ‘mesmerising’, ‘uplifting’ and ‘captivating’. 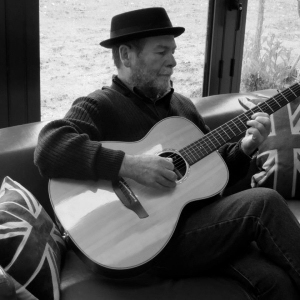 The first Tasmanian artist to record and release an album of his own compositions, Neil Gardner has been writing songs for the last 44 years. Now based in Hobart, Neil began writing on the North West coast of Tasmania where he was part of the Brumida network of young artists and writers.His music contains a variety of styles and genres ranging from the sublime to the ridiculous. 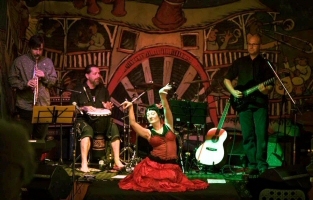 A 4 piece folk/gypsy band from Launceston, comprising 2 vocal/guitars, 1 saxophone and 1 percussion player. 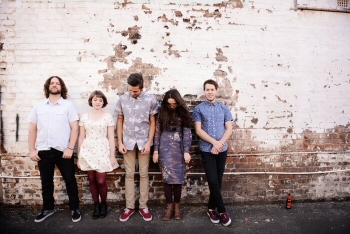 A variety of songs ranging from slow/relaxing through to happy/vibrant.This band likes to leave people feeling happy. Plays a mix of folk/blues/country style. Luke won the 2013 National film and sound Archive National Folk recording Award with his band the Recycled String Band. Luke likes to invite others to join him on stage. 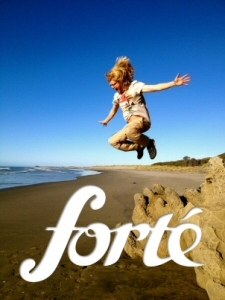 Forte performs Conscious Folk rock originals with acoustic guitar, mandolin and singing. The Craggs play music that celebrates the Tasmanian wilderness & some of its characters. The music is laced with rich vocal & instrumental harmonies. 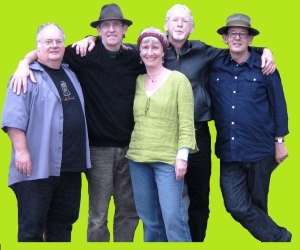 The band was an invited guest at the 2010 National Folk Festival in Canberra &toured in the US in 2009 where they performed at the 40th anniversary of Woodstock. "A wandering minstrel” who headed east then north to south thru’central west. 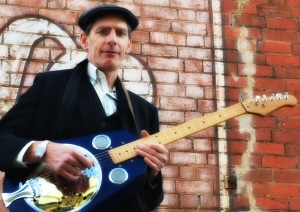 Bob’s diverse journey is reflected in his spirited eclectic style, an impressive mix of original songs, together with blues ragtime and folk, both traditional and contemporary played adeptly on his well travelled Lowden guitar. 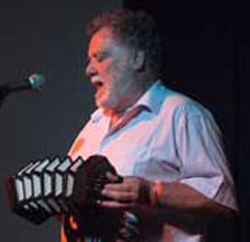 Mick Flanagan comes from Galway and via Bristol, then Sydney, Mt Isa, Kalgoorlie etc, to Franklin in ’77 and presently resides in George Town Tasmania..Mick sings, plays button accordion and enjoys a good session. 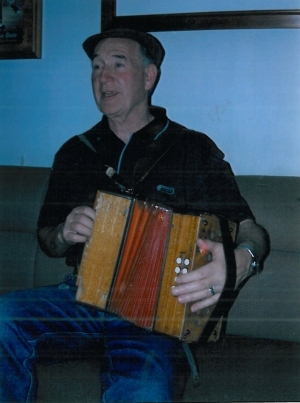 Danny has been with our Festival since day one and we look forward to his performance every year. 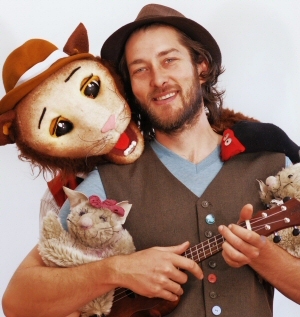 Sea chanties and stories, his highly acclaimed performance will bring a smile and sometimes a tear but always well received. 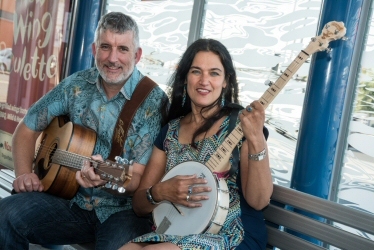 Seagrass is an all original Tasmanian acoustic band that combines blues with bluegrass. Tim Saunders (banjo, guitar, vocals)Rowlie Walker (mandolin, vocals)Mark Phillips (bass, vocals). The music style ranges from southern Mississippi swamp music with bottleneck guitar through to hard driving Scrugg's style 5 string banjo bluegrass. 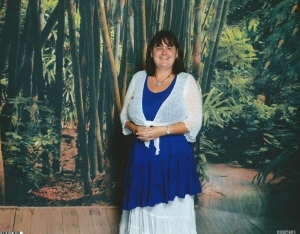 Singer of both English traditional and contemporary songs, both self penned and from other sources. The guitar accompaniment includes counter melodies and rhythms with a wide use of tunings. 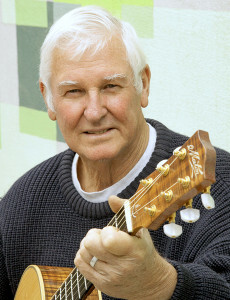 In recent years Jim has branched out as a songwriter, and performer of classic Australian Bush Poetry and his own work, for which he has won several awards both in Tamworth and other competitions around Australia including the Bush Laureates Golden Gumleaf Award for recorded poetry. This is the most prestigious poetry award in Australia. Catch Jim at the Poet's Breakfast on Sunday Morning (Jan 18th).